All undergraduate students are required to complete an Immersion (three upper level courses within the same discipline). The Immersion must be declared in SIS. Some Immersions may be expanded to complete a minor with two additional courses. If a student declares a minor that does not have a corresponding Immersion, those minor courses will not fulfill the required Immersion. You want to complete a History Immersion, which is three upper level courses (reference the list of courses that will fulfill the requirement). You then decide to add a History minor . . . this will add two more courses to your requirements. The three Immersion courses can serve double duty and also count towards the minor. It is always a good idea to verify your plans with Liberal Arts and/or the minor advisor. You want to complete a History Immersion. You need to take three upper level courses from Liberal Arts to fulfill this requirement. You then decide to add a Business minor . . . this will add five additional courses to your requirements. The Business courses cannot be counted towards your Immersion because they are not Gen Ed. This is a total of eight courses – three from Liberal Arts and five from Business. All undergraduate students must declare an Immersion in SIS. 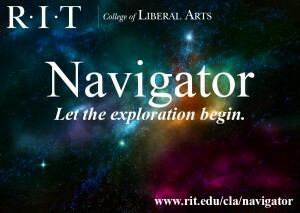 RIT offers many options for students to complete a minor. The list of available minors can be found here. Declaring a minor is optional; it may or may not extend your time at RIT depending on your degree requirements. The form to declare a minor (Minor Authorization/Change form) can be found here. You must meet with the Minor Advisor in the college that offers the minor. Once you have the form signed, please deliver it to the College of Art and Design Student Services, GAN-1075, so we can update your records here. We will forward the form to the Registrar’s Office for processing.